All resources are in electronic format and can be downloaded from your account or email – How to Download. Payments will be processed instantly after checkout. Please note that all sales are final and non refundable. If you still have questions, find answers on our FAQ page or just send us an email at inquiry@testbankcorp.com, we will respond as soon as possible. 1) Which of the following is NOT a purpose of a conceptual framework of accounting concepts and financial reporting objectives? A) To increase the user’s ability to understand financial statements. B) To increase financial statement users’ confidence in financial reporting. C) To provide a foundation for detailed accounting and reporting rules. D) To enhance comparability among companies’ financial statements. Objective: 2.1 Explain the role of a conceptual framework for financial reporting and the reasons for having conceptual frameworks. 2) Which of the following is NOT correct about the conceptual framework in accounting? A) It is the basis for standard-setting for accounting standard setting bodies. B) It is based on fundamental accounting truths derived from the laws of nature. C) It can be used to solve emerging or complex accounting problems. 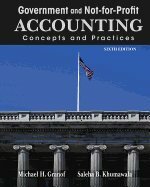 D) It can be used to develop consistent and comparable accounting principles. 3) Which is a purpose of the conceptual framework in accounting? A) To support principles-based accounting standards, principles and practices. 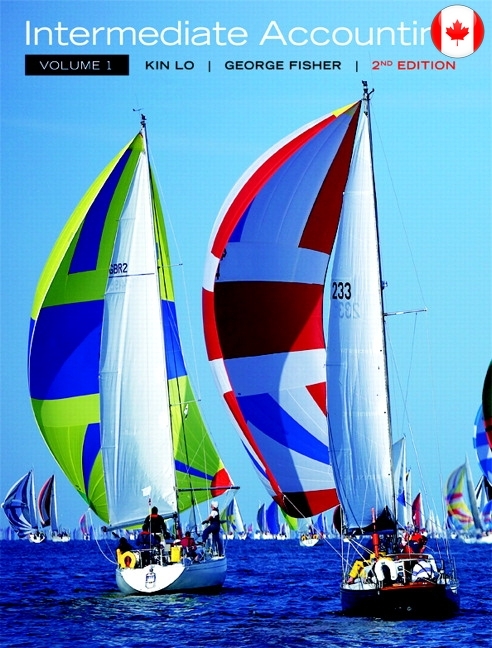 B) To provide rules from which decision-useful financial information can be developed. C) To promote global consistency, acceptance and adoption of IFRS around the globe. D) To develop different accounting practices between countries around the globe. 5) Provide three reasons for the importance of the conceptual framework for financial reporting. Answer: A conceptual framework is like a strategic business plan that identifies demands of users and how to supply a product that meets those demands. The framework provides overall plans to guide implementation: the evaluation of more specific accounting standards and the application of accounting standards to specific circumstances. As business plans, they differ in response to variations in the environments for which they are developed, and they change from time to time to respond to changes in market conditions. 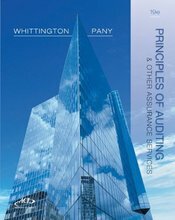 It provides the foundational principles, assumptions and principles upon which accounting standards are built. This foundation ensures accounting standards are consistent with each other (e.g. the definition of an “asset” ensures that the accounting for fixed assets and intangible assets are based on consistent recognition criteria). 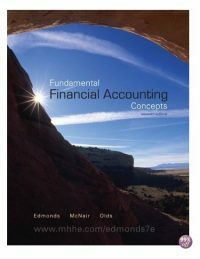 The foundational concepts help accountants determine the appropriate accounting in circumstances for which specific standards may not exist. 6) Which of the following is part of the IFRS Framework? A) Statement of financial position. B) Elements of financial statements. 1) Which is NOT a qualitative characteristic of financial information in the IFRS Framework? Objective: 2.2 Explain the rationale for each of the eight major components of these frameworks and synthesize these components into an integrated whole. 2) Which is an assumption of financial information in the IFRS Framework? A) Accrual basis of accounting. 3) Which is NOT an element of financial information in the IFRS Framework? 4) Which is NOT a criteria for recognition of financial information in the IFRS Framework? A) The amount is reasonably measurable. B) The expenses should be matched with revenues. C) The amount must be measured at historical cost. D) Inflow of outflow of cash flows are probable. 5) Who are NOT users of financial information under the IFRS Framework? 6) What is NOT an information need of users of financial information under the IFRS Framework? A) Information on the amount of cash flows. B) Information about the timing of future cash flows. C) Information on the uncertainty of cash flows. D) Information about the amount of past cash flows. 7) Which financial statement is NOT needed under the IFRS Framework? B) Statement of retained earnings. D) Statement of cash flows. 8) What information does the balance sheet provide to users of financial information under the IFRS Framework? A) Information about changes in liabilities over a period of time. B) Information about changes in resources over a period of time. C) Information about the performance of a company over a period of time. D) Information about the state of a company at a point in time. 9) What decision would users of financial information NOT need to make under the IFRS Framework? A) Decide whether to invest in an entity. B) Information on an entity’s economic performance. C) Amount of money to borrow from an entity. D) Assessment of the riskiness of cash flows. 10) What decision would users of financial information need to make under the IFRS Framework? A) Determining whether to lend to the company. B) Determining if a company is an ethical company. C) Determining if the liquidation values are accurate. D) Determine if the company is socially responsible. 11) Financial statements under the IFRS Framework do NOT help users with what kind of objective(s)? B) Forecasting future product growth. C) Prediction of future earnings. D) Evaluating the riskiness of an investment. 12) Which statement best explains the qualitative characteristic of “relevance”? A) Financial reports should be understandable to the users of the information. B) Omitting information would influence a user’s economic decision. C) Information should influence a user’s economic decisions. D) Financial reports should be accurate and complete. 13) Which statement best explains the concept of “representational faithfulness”? A) Transactions should be recorded in accordance with their substance rather than their legal form. B) Transactions should be recorded in accordance with their legal form rather than their substance. C) Transactions should be recorded accurately and completely to be useful to financial statement users. D) Transactions should be recorded using the rules and guidelines provided in the accounting standards. 14) When actual financial statements routinely report results that overstate or understate a company’s financial position, which qualitative characteristic is violated? 15) What information does the income statement provide to users of financial information under the IFRS Framework? C) Information about the performance over a period of time. 16) Which of the following is an attribute of “relevance”? 17) Which of the following is an attribute of “representational faithfulness”? 18) Which statement best explains the qualitative characteristic of “completeness”? A) Financial statements should represent the underlying transactions, assets and liabilities. B) Omission of financial information that would influence a user’s economic decision. C) Financial information should not contain errors or bias. D) Financial statements should not omit material items or transactions. 19) Which qualitative characteristic of financial information alleviates “moral hazard”? Explanation: A) Representationally faithful information alleviates moral hazard; neutrality is an attribute of representational faithfulness. 20) Which of the following characteristic of financial information alleviates “information asymmetry”? Explanation: C) Relevant information alleviates information asymmetry; confirmatory value is an attribute of relevance. 21) Which statement best explains the meaning of “recognition” in financial reporting? A) Determining where items should be presented in the body of the financial statements. B) Presenting an item in the financial statements, rather than simply disclosing in the notes. C) Quantifying items so that they can be presented in the body of the financial statements. D) Presenting expenses in the same accounting period as the related revenues. 22) Which statement best explains the meaning of “measurement” in financial reporting? B) Presenting an item in the financial statements but not in the notes. 23) Which statement best explains the meaning of “comparability” in financial reporting? A) Financial information that is available quickly to financial statement users. B) Financial information that can be objectively confirmed by another person. C) Financial reports that are comprehendible to the users of such reports. D) Financial statement preparers using consistent accounting policies year over year. 24) Which statement best explains the meaning of “presentation” in financial reporting? B) Presenting an item in the body of the financial statements and in the notes. 25) When are financial items recognized in the financial statements? A) Items are recognized if the fair value amounts can be determined. B) Items are recognized if the inflows or outflows of resources are probable. C) Items are recognized if the future gains will result from disposal of the item. D) Items are recognized if there are no measurement uncertainties. 26) What is the most commonly used measurement basis? 27) Which of the following is/are constraints in the financial reporting process? A) Classifying a revenue versus an expense in the income statement. B) Using the historical cost versus the fair value method to measure transactions. C) Recognizing an asset versus a liability in the balance sheet. D) Benefits of information versus the costs of producing that information. 28) Which of the following accurately describes the objective of financial reporting under the IFRS Conceptual Framework? A) The Framework focuses on a narrow set of users such as investors and lenders. B) Special purpose financial statements are required under the Framework. C) In the Framework, users include a broad range such as employees and customers. D) Under the Framework, general purpose financial statements increase moral hazard.